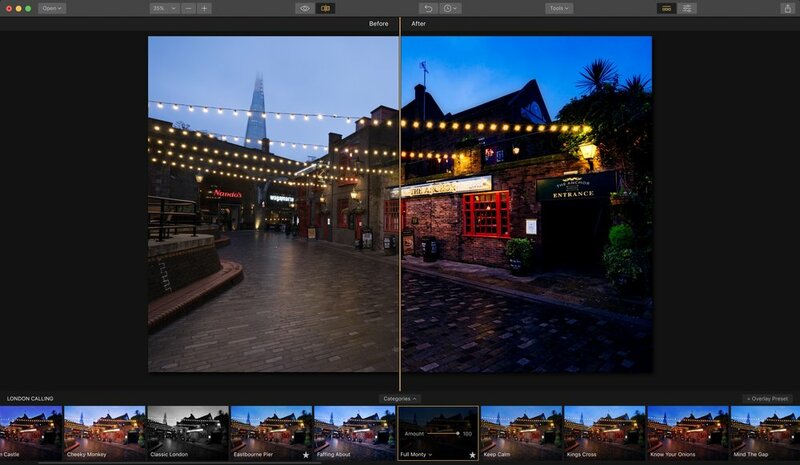 Announcing London Calling, a preset pack for Luminar! A gorgeous collection of presets for enhancing your Luminar experience! Here are 27 new presets inspired by my recent trip to London! Hello friends, I am back with another preset pack for Luminar! You can find my other preset packs right here if you would like to see them all. This is the first Luminar preset pack I've created for sale in over a year - lots of cool stuff in here! 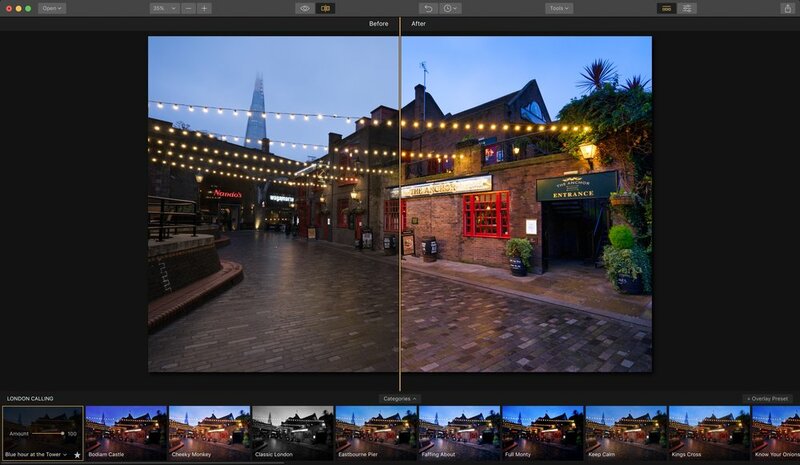 Don’t have Luminar yet? Shame on you. ;-) You can click on the banner below to buy it from the Macphun website. Trust me when I tell you that you will love it. You can also download a free trial at their site if you want to test drive it first. You can do SO MUCH with Luminar that it will blow you away. 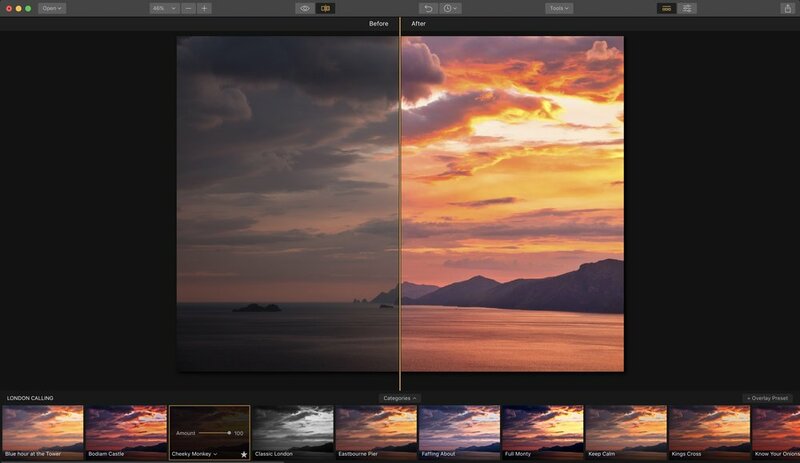 It has completely changed my photo editing, making it faster and better! I spend nearly all my time in Luminar now. While my photos are managed in Lightroom, I take them into Luminar for the majority of my edits. I find Luminar to be more powerful and capable than Lightroom, with more filters to experiment with, too. Even with my HDR photos, I will build them in Aurora HDR and then take them to Luminar for stylizing. I LOVE to create these preset packs. It’s not just fun for me, but educational as well. It makes me really dig into the product deeper and forces me to get out of my habitual edits to craft something new and interesting. I also use my presets ALL THE TIME. Sure, I create them and sell them here, but I also use them on all my images. I love them, or else I would not put them out there. I hope you feel the same! I think of presets as the “easy button” for photo editing. Sometimes it really just takes that one click to get your shot looking exactly how you imagined it, although of course there are times when a preset is a great starting point to send you off in a new creative direction. Either way, I know you will enjoy this new preset pack and get a lot of mileage out of it. I absolutely adore the city of London. It’s long been one of my favorite places. It has so much history and beautiful places to shoot, and even when it’s raining the city just sparkles with a beauty that draws me in. The city inspires me at every turn. Upon returning from my recent visit there, I spent hours and hours editing photos and creating these presets. 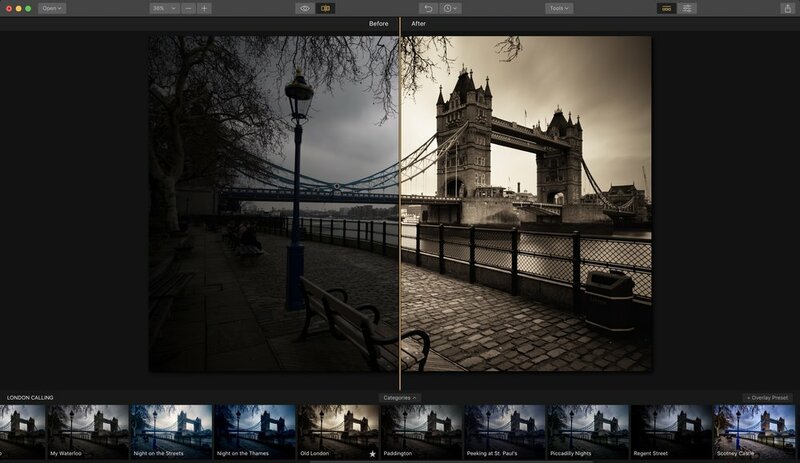 I have tried these presets on all sorts of photos - landscapes, cityscapes and more. They are very flexible and fun, and I have been using them on many of my recent images that I share. I’m proud of this preset pack and I hope you enjoy it as much as I have. There is a lot of variety in this pack, just as there is a lot of variety in London. Assuming you have seen some of my work, then you know that I like bold, colorful and expressive photos. These presets are designed as big moves, and not just barely-noticeable minor adjustments. Big moves are good. Minor changes are a waste of time. 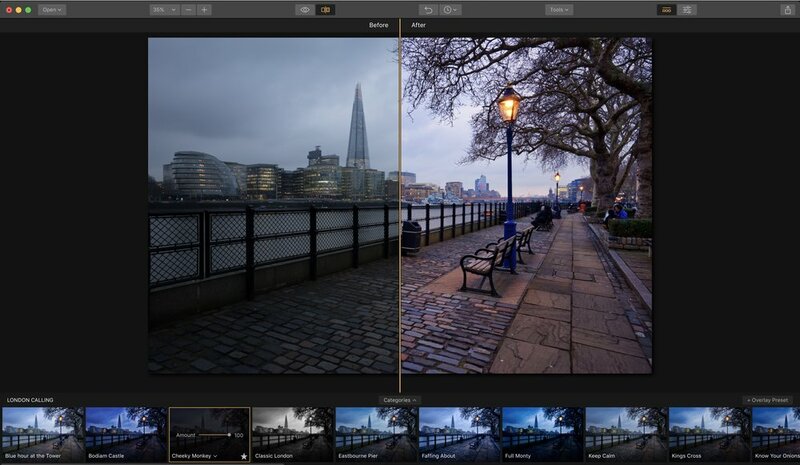 Don't forget you can stack presets for more fun and experimentation! I often stack 2 presets and adjust the opacity levels of each layer to get interesting and beautiful results. Or stack them and just mask in the part of the preset that fits with your photo. Your options are limitless! Just experiment and have fun. That's what this is all about, anyway. Create something interesting and have fun doing it. There are 27 presets in this pack and once loaded in Luminar it will be displayed as it’s own category of presets, right alongside all the other categories that are built into Luminar (see below for installation instructions). I even recorded a video showing many of the presets in action. Take a look! Ready to purchase this preset pack? You can click on “Add to Cart” below, or visit my presets page. Once you complete the purchase process, you will receive an email with a download link for the preset pack file, which you can then import into Luminar. Installation instructions are below. It sells for the low price of $10.00. Think of all the amazing creations you will use these on, again and again! Thanks for stopping by, and let me know if you have any questions. I appreciate the support very much! I couldn't do this without your support, so I want you to know I am deeply grateful. Thank you! When you import a custom preset pack such as this one, it will create a new category in the Presets category window, and the presets will be displayed within that category. To add a custom preset pack, select the menu item File > Add Custom Presets Pack. An open dialog box will be displayed, allowing you to choose the pack you wish to add. After you receive your email with the download link, download the preset pack file to your desktop and that allows you to easily find it and select it. Then you start making awesome photos! Show me some samples, Jim! Ok, it’s about time to do that, don’t you think? Take a look at all the screenshots below and any of them can be viewed larger with a single click. I included the split screen Before/After view so you can see the impact each preset has on an image. You will also see the preset name in the screenshots below. Many of these are the same as shown in the video above, in case you didn't watch that. Enjoy! Thanks for taking a look and let me know if you have any questions!